Photo: Courtesy of Ozark County Times. For the first time in more than 100 years, there's no grocery/convenience store in Thornfield, following the closing of the Heriford Store in February. The owners of Thornfield's last grocery/convenience store, Juanita and Kenny Heriford, bought the business 12 years ago. 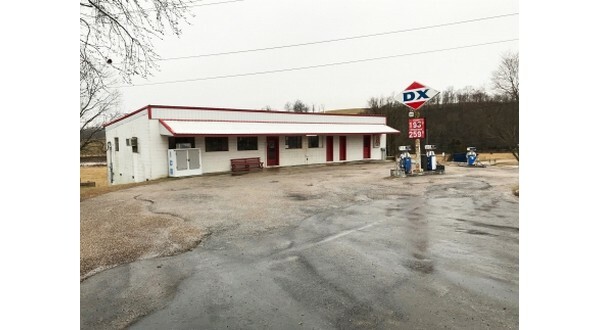 The Ozark County Times reports the store building was built in 1968 by the late Hervil Gaulding and his wife, Virginia Heriford Gaulding. A few years earlier, the Gauldings had bought the store across the street from Chet and Toni Watson. But soon they opted to move from that store into a new building they constructed on the opposite side of Highway 95. Chester Lyday, then the carpentry instructor at Gainesville High School, laid the concrete blocks for the building. After five or six years, the Gauldings sold the store to Virginia's brother and his wife, John and Barbara Heriford. Greg Donley, now the Ozark County western district commissioner, leased the store for a while. Finally, it was sold to John Heriford's distant cousin, Kenny Heriford and his wife Juanita, who has operated the store in recent years with her granddaughter. Juanita Heriford says closing the store is another step in the commercial decline of Thornfield, which was "once a booming little town with two grocery stores and a filling station," 15 miles northwest of Gainesville. Other Thornfield businesses through the years have included a cafe, a tire shop and even a car dealership. Greg Donley recalls for a while it was even possible to purchase a new Chevrolet from Arthur Viles' Thornfield business, although mostly he bought old taxis and repainted them to sell. Now the Donley Feed Mill and a seasonal tackle shop, Otter Kreek, are the last businesses left in Thornfield, except for the post office. The Thornfield School, with about 50 elementary students, is just up the hill. For the last 12 years, six days a week, Juanita Heriford has awakened around 5:00. She would drive from the Herifords' home near Romance, arriving at the store in Thornfield by 6:00 and opening for business by 6:30. During the winter, the Heriford store closed earlier, and in the summer it stayed open later to accommodate the lake traffic.